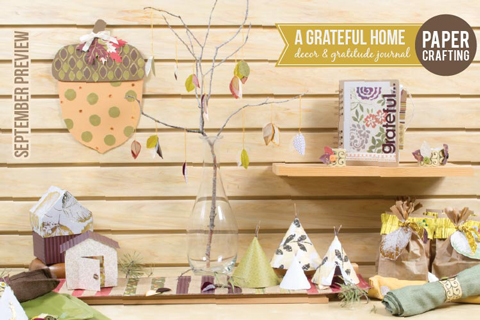 Enjoy the tonal colors of fall while creating beautiful items for a “grateful” home using the Club SEI September paper-crafting kit. There are a lot of fun projects you can make with this kit. 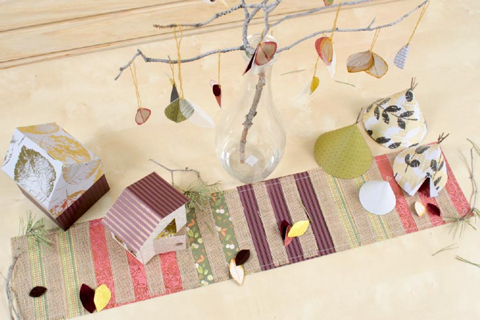 This image shows the fun table scape with a runner, tea lighthouses and teepees. Here's one page of the gratitude journal. 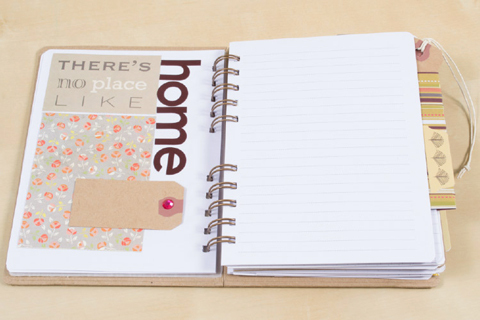 There are plenty more pages to fill! 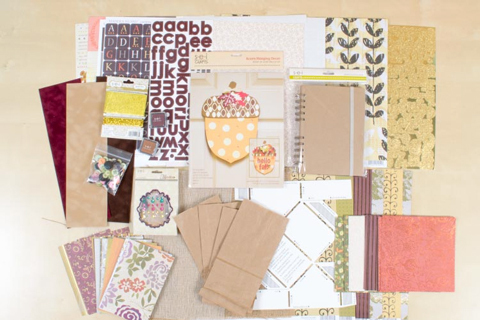 Check out all the goodies that come in this kit, including the door hanger kit and paper bags. Learn more and sign-up today on our Club SEI site at here.